The theme of the #MINA2014 program is On The Move. In response to an open call for submission more mobile, smartphone and pocket films were submitted than ever before. This year already in its 4th edition, the MINA showcase includes micro-movies and micro-formats on travel and mobility, as well as various adventure films and projects realised with GoPros. Mobile cameras are more obiquitous than ever before, and their vastly improved technical standards are beginning to seriously challenge DSLR still cameras in terms of image treatment. what is my ip? . While any lens can be mounted onto smartphones, DSLRS and high end cameras still do not fit in your pocket. For the 4th edition of the International Mobile Innovation Screening MINA is honoured to announce Robert Cahen as creative patron. The #MINA2014 showcases the contemporary artistic vision of the mobile, camera and smartphone filmmakers from around the world who increasingly produce projects on the move. The MINA program with further information and the MINA International Partner Festival program will be online soon. 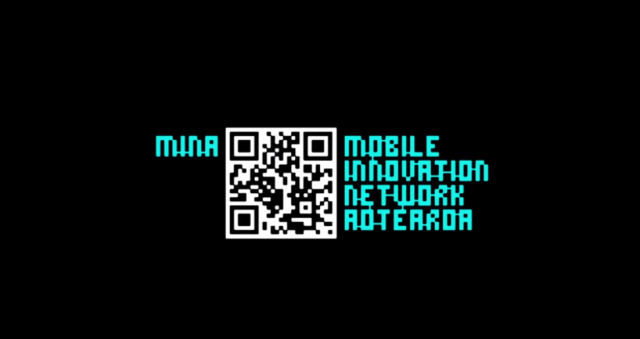 The Mobile Innovation Network Aotearoa [MINA] is an international network that promotes cultural and research activities to expand the emerging possibilities of mobile media. MINA aims to explore the opportunities for interaction between mobile content, communities and the creative industries within the context of Aotearoa/New Zealand and internationally. We hope you enjoy the program and would like to use this opportunity to thank the MINA screening committee: Laurent Antonczak (AUT University, New Zealand), Dr Marsha Berry (RMIT University, Australia), Dr. Gerda Cammaer (Ryerson University, Canada), Felipe Cardona (Pontifical Xavierian University, Colombia), Matthijs Clasener (Grafisch Lyceum Rotterdam, Netherlands), Dr. Seth Keen (RMIT University, Australia), Assoc. Prof. Andre Ktori (Massey University, New Zealand), Dean Keep (Swinburne University of Technology, Australia), Dr. Patrick Kelly (RMIT University, Australia), Dr. Stefano Odorico (Leeds Trinity University, England), Dr. Miriam Ross (Victoria University, New Zealand). Special thanks also to MINA’s partner film festivals: IPhone Film Festival (Hollywood – USA), Super 9 (Portugal), SeSIFF (Korea), Cinephone (Spain), Mobile Film Festival (Mazedonia) and Mobil Film Festival (USA). We are also looking forward to work with Mobile Motion Film Festival (Switzerland) and Film Pocket Film (Sweden) in 2015. With very special thanks to Laurent Antonczak, co-founder MINA, the School of Art & Design (AUT University), CoLab (Creative Technologies Research Institute for the Faculty of Design and Creative Technologies at AUT University) and the School of Design, School of Music and Creative Media Production in the College of Creative Arts, Massey University for their continued support.